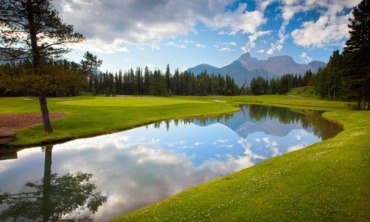 Alberta – A Golfers’ Paradise! Golfers in Alberta have reason to be excited. After all, we’re talking about a golfers’ paradise. Consider the total golf supply of 308 facilities—third most of any province—of which, 92 percent are publicly accessible. For those who prefer a private club experience, the province counts two dozen private golf courses and another 22 tied to real estate developments. You also can’t talk about resort golf in Canada without featuring the 24 Alberta resort facilities, many set amongst or in the foothills of the Canadian Rockies. From iconic Stanley Thompson designs such as the Fairmont Jasper Park Lodge and Fairmont Banff Springs to similarly spectacular layouts such as Silvertip Resort, Canmore, and Stewart Creek, beacons that help support a robust tourism industry. 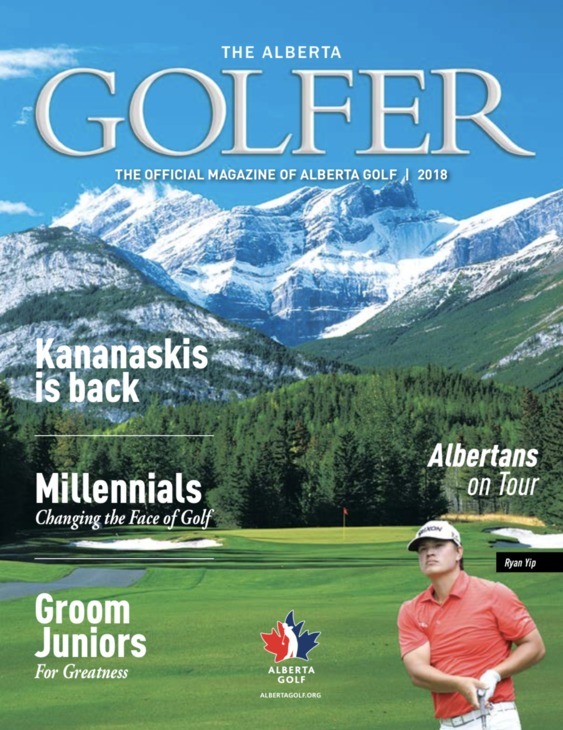 Albertans are celebrating the long-awaited return of Kananaskis Country Golf Course in 2018, the 36-hole gem decimated by the 2013 floods that ravaged southern Alberta. Talk about Alberta resilience! The impact of golf on tourism in Alberta is part of a larger economic impact which contributes an estimated $2.4B towards the province’s Gross Domestic Product. This includes some 43,000 jobs, $82.9M in property and other indirect taxes, and nearly $309M in federal and provincial income taxes. Beyond the economic impact, Alberta is on the leading edge of accessibility. Consider the multitude of 9-hole facilities—121 spread across the province that are a gateway for avid players, casual participants and potential new enthusiasts to enjoy the game. Alberta has welcomed eight new golf courses over the past decade, the most of any province. Another eight are currently in development, including the much anticipated Mickelson National Golf Club set in the community of Harmony, Alta, just outside of Calgary. And speaking of Calgary, its 31 courses are the most of any city in Canada. Among those city-based courses is Canyon Meadows Golf and Country Club, a wonderful member club that welcomes the legends of professional golf every August to what has quickly become a must-attend event—the Shaw Charity Classic. I felt the enthusiasm around the Shaw Charity Classic first hand—a jewel on the PGA Champions Tour that welcomes golf greats such as Nick Faldo, Fred Couples, Colin Montgomery, Bernard Langer and Canadian Stephen Ames. I’m so impressed by the event’s charitable impact with nearly $20M raised for various causes over the past five years. It’s an incredible event that Albertans have really wrapped their arms around. Since joining Golf Canada as CEO in July 2017, I’ve connected with golfers across the country. I visited with more than 150 member clubs across all 10 provinces over my first 100 days—a national listening tour that included round table discussions with almost all of our partners from the provincial golf associations and PGA of Canada professionals to our club owners and managers along with corporate partners and other constituents who share a vested stake in the game. I wanted to explore the state of our game and fully understand what our stakeholders and partners expect from their relationship with Golf Canada. My first impression—the support for golf in this country is overwhelming and Canada continues to have this incredible appetite for this amazing sport. But just as important, Golf Canada needs to do more. We need to invest in the game and become more relevant to all our golfers. In Alberta, that means building more meaningful relationships with the 308 golf facilities across the province. It also means working closely with our partners at Alberta Golf to better communicate with the golf clubs and deliver more value both to the clubs and golfers at large. There’s real optimism around the game right now all across Canada. But there also needs to be more focus on bringing new enthusiasts to the game. Whether by growing club membership or engaging green fee golfers, efforts to address affordability, accessibility and inclusiveness are areas of focus for both Alberta Golf and Golf Canada. Connecting with more of Alberta’s passionate golfer base isn’t just an opportunity, it’s a priority. After all, we’re talking about a golfer’s paradise. 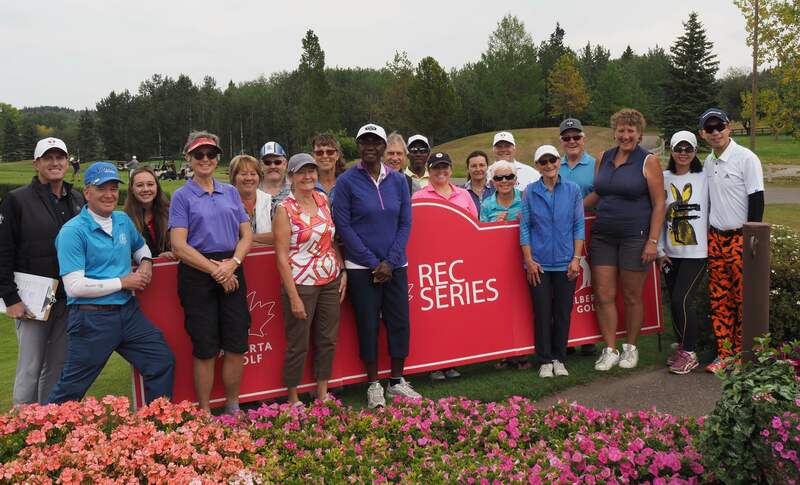 Alberta Net Amateur Championship / Rec Series Finale!